It’s been sad. It has really been. But we know you’re in a better place, Peter. We know you’ll keep smiling up there. We know. This poem was inspired by you…. How does it feel to lose a child. 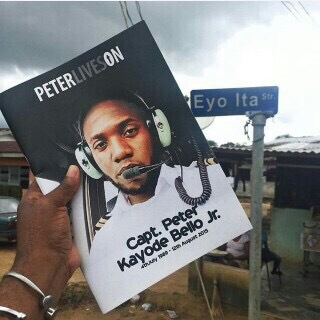 This entry was posted in ...Inspired, Hashtag, Ourblog stuff and tagged bristow, Calabar, helicopter crash, lagos, peter bello, peter kayode bello, tribute. Bookmark the permalink. ← got a minute? Vote for stephanie.